Thank you for pre-ordering the World Bracelet! As of July 26th, the World Bracelet pre-order has ended. If you have already placed an order, an email will be sent shortly with more information regarding your order. Introducing the newest way to wear the magic of Secret Wood! 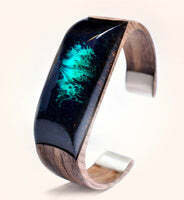 The World Bracelet encompasses the magic of Secret Wood jewellery and reimagines it as a bracelet! 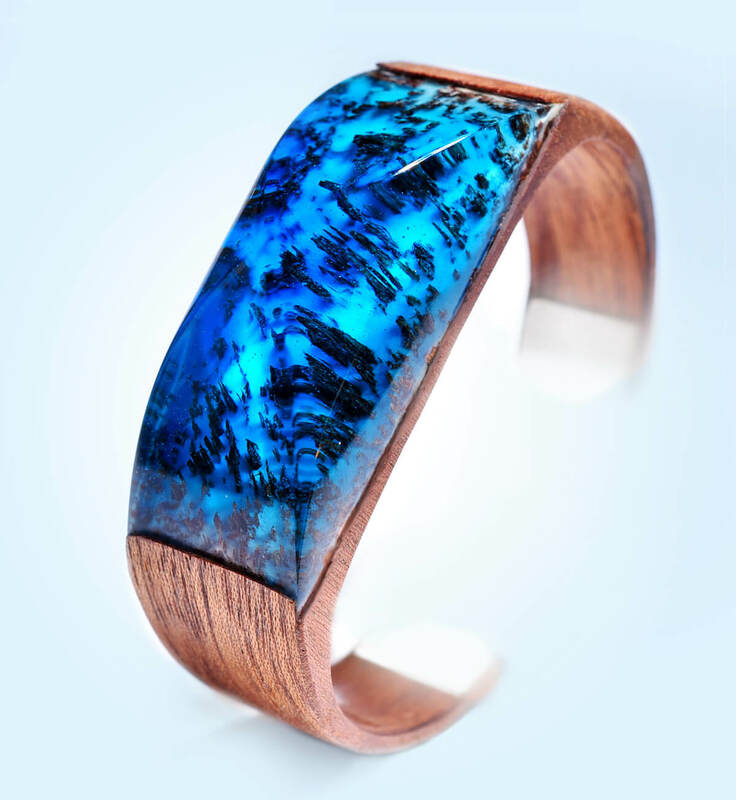 The base of the piece is carefully crafted from thin wood sheets formed and moulded into a cuff shape. 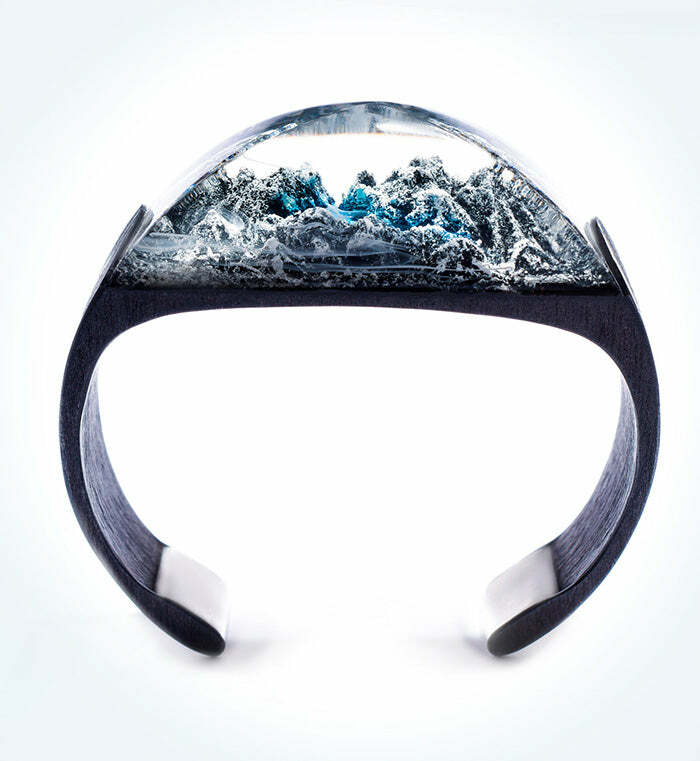 The many secret landscapes are made from a combination of wood and resin cast into a domed pyramid shape and integrated on top of the bracelet. Sterling 925 silver tips and embossed logo plate are added to the design completing the elegant beauty of this piece. Bracelets are available in five sizes, x small, small, medium, large and x large. All pieces are completely handcrafted in our Vancouver studio. You, our fans and supporters are what inspired us to create the World Bracelet. We have received and listened to your feedback and requests to expand our range of jewellery and knew that a bracelet was the next step, thus, the World Bracelet was created! Taking inspiration from our ring roots, we aimed to create a type of bracelet that continues the craftsmanship and beauty of Secret Wood. Exclusive pre-order price packages will be offered for 60 days or until crafting capacity is reached. Once the pre-order is complete, the World Bracelet will be sold on our website at regular price. Don't miss your chance to expand or start your Secret Wood collection. 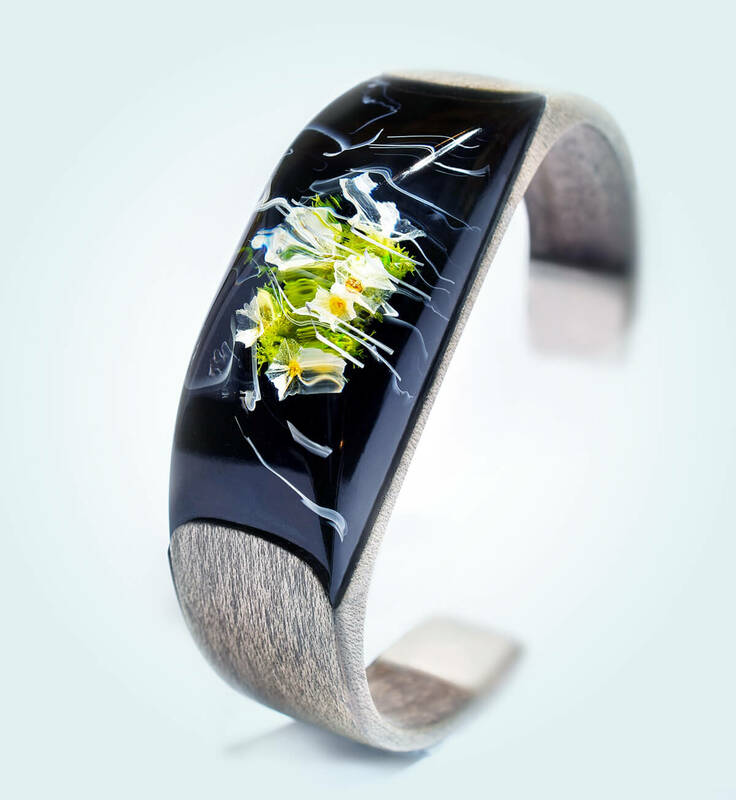 Inspired by the many beautiful aspects of the natural world. Much like our rings and pendant, our World Bracelet is inspired by both Vancouver and Canada. A blend of ethereal fantasy elements grounded on Canadian natural landscapes shapes the content of our creations. We are offering six different bracelet variations all inspired by the natural world. Complete your jewellery set or start a new one with one of our secret worlds!